The first-ever IFBB Professional League bodybuilding and figure competition took place in Asia today as the best bodybuilders and figure competitors in the world took the stage at the inaugural Sheru Classic in Mumbai, India From the looks of it, things will turn out in much the same fashion as they did at last week’s Olympia. In Men’s Bodybuilding, new Mr. Olympia Phil Heath didn’t skip a beat from last week, when he became the 13th Mr. Olympia in history. Heath displayed his traditional full, round muscle bellies and otherwordly separation and showed fans here why is now the best bodybuilder in the world. Jay Cutler will have his hands full in holding off a hard-charging Kai Greene here. Greene is sharper than he was last week, especially in the hams, glutes and erectors. 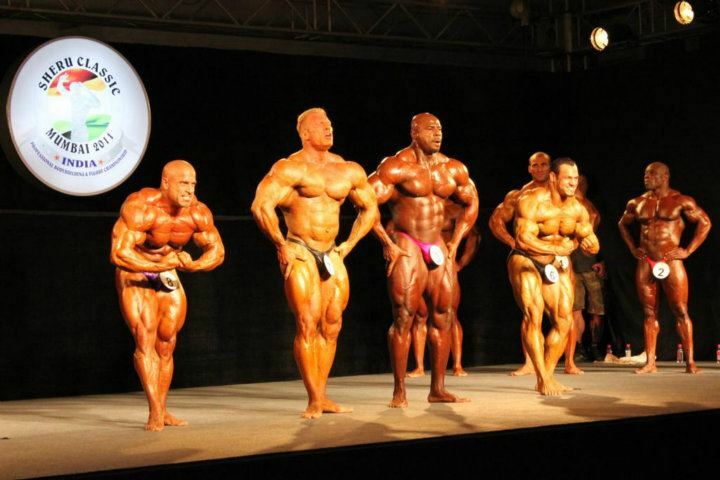 Whether it is enough to place ahead of the four-time Mr. Olympia will be decided tonight. Victor Martinez appears to have a lock on fourth, while Dennis Wolf and Toney Freeman are battling it out for fifth.